on facebook. Announcing today the lucky winner of this beautiful one of a kind bag. 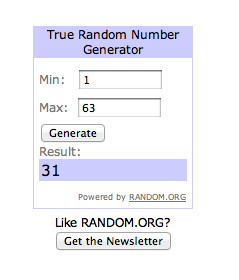 Congratulations Amanda who was number 31 yayyyy! de haber alcanzado 2000 seguidores en facebook. Anuciando hoy la ganadora de la bolsa. Felicitaciones Amanda que tenia el numero 31 yuujuuuu!! !